← Counting Bear App Gone Free! 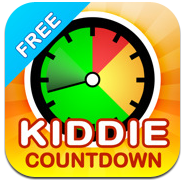 Kiddie Countdown Timer – Suited to younger students, the Kiddie Countdown Timer has options of using stop sign like visuals in its timer. Available as a free app and also $.99 to remove the ads. This was previously reviewed – a great find by my colleague, Gail (thank you!). 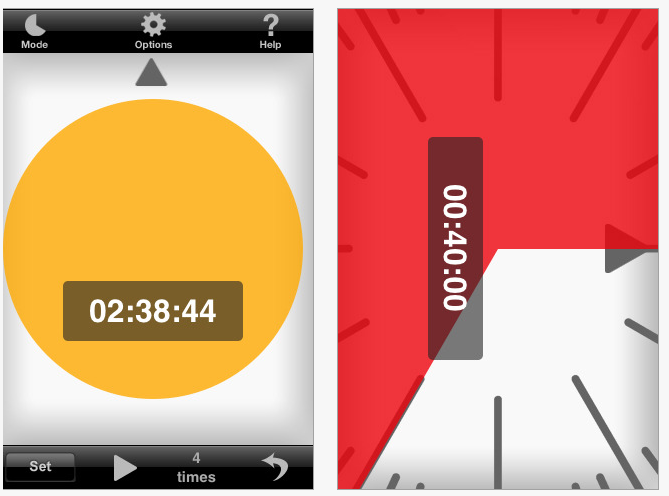 Time Timer – This app is the electronic version of the 3″ and 8″ Time Timers compatible with iPad, iPhone and iPod Touch (1.99). It has three modes of timers- 60 minute, custom and a clock mode. Time timer also provides settings to allow it to be audible, visual or vibrate (on the iPhone). This is another great timer with many features. 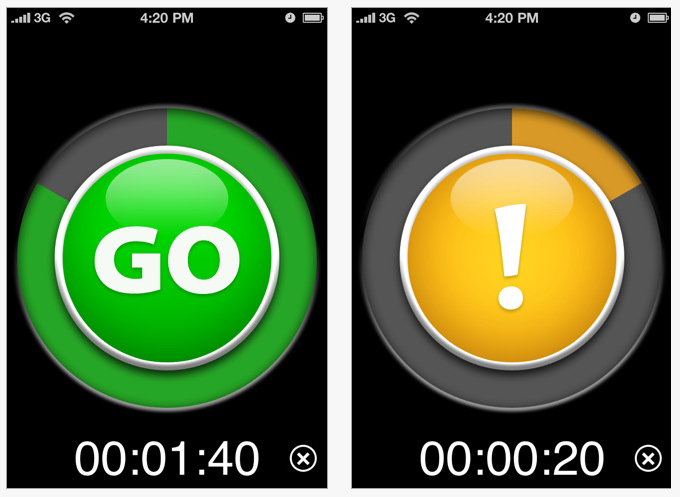 VisTimer – Available free and for purchase (1.99) for iPod, iPhone and iPad this timer does not have as choices of timers but does allow choices of colors for the clock, different sounds for warning and completion and features elapsing time. Limitations with the free version is it can only time up to 5 minutes and lowest warning time is at 1 minute. I work with older students and this free clock works well for my current purposes. We have many Time Timer clocks that are also readily available for use if a longer period of time is needed. 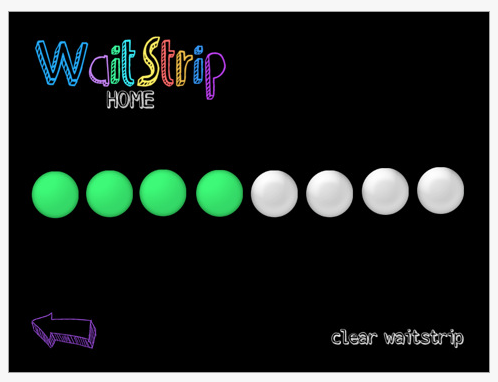 Waitstrip – A different, linear concept of a visual timer is the Waitstrip app. 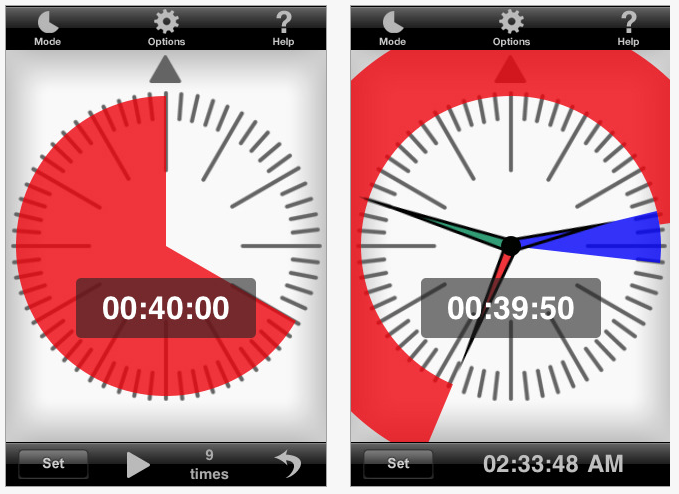 Available for iPod, iPad and iPhone for $.99, it features a concrete visual representation of time, amount of steps to be completed, number of minutes to work, math problems to be completed using a series of dots as a visual guide. If you are interested in additional choices check out the Autism App’s (free app) category of Visual Timer for more choices. Appropriate for all ages, a wide variety of disabilities and as an portable OT iTool kit. This entry was posted in Apps for OT's, Apps for Special Needs, iPad, iPhone, iPod, iPod/iPad Accessory, Occupational Therapy, Sensory Apps for ASD, Special education, Visual Communication and tagged iPad, iPhone, iPod, occupational therapy, OT Apps. Bookmark the permalink.